I love photography! I love to take beautiful pictures of your growing family at your birth or postpartum visits. I am an amateur photographer and do not offer editing services. However, this means that I do deliver the pictures to you quickly, via a secure and private client gallery, usually within 48 hours of your birth. I never use flash and I am unintrusive, as my training as a doula ensures that I observe "labor etiquette" at all times. 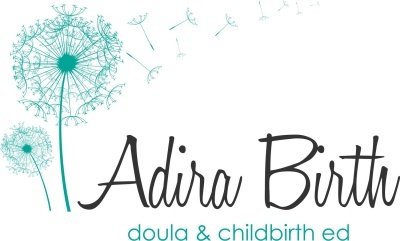 The complete package includes all doula services, including 2 in-home prenatal visits, labor support, amateur birth and newborn photography, one postpartum visit, and a Birthing From Within group childbirth education series. This package includes 2 prenatal visits, labor support, amateur birth and newborn photography, and one postpartum visit. This package includes a 12 hour Birthing From Within group class in a Carytown location or a 3 hour private class in your home. Please see the Birthing From Within page for schedule and details. There are many different schedules to pick from!! This package is for the mom who's been there and done that. It includes an initial consultation to see if we are a good fit, phone, email and text support during your pregnancy, labor support, amateur birth and newborn photography, and one postpartum visit. Only recommended for experienced moms. Because I'm usually on call for my doula clients, I'm able to offer low-cost birth photography. I need to emphasize that this is amateur photography and that I will join you at the end of your labor in your birth place. I do not offer editing services and am not formally trained in photography; my training is in birth. However, I love capturing those precious moments! Visit "Gallery" to see examples of photos.